TIME is ticking away on Gilas gunner Marcio Lassiter, who remains a no-show in the final stretch of the national team’s training before embarking on a grueling three-week camp in Europe. The San Miguel wingman was not around in the first of two friendlies the nationals had against three-time Fiba-Asia champion Iran on Tuesday at the Gatordare Hoops Center in Mandaluyong. Coach Tab Baldwin said he was able to talk to Lassiter the other day, but doesn’t exactly have an idea what really ails the former Cal State Fullerton stalwart. He has no idea too, on when the 29-year-old Fil-Am will be able to join a Gilas side that is set to leave for Greece on Friday as part of its preparation for the Manila leg of the Olympic Qualifying Tournament. The team initially said Lassiter has been suffering from bronchitis-like symptoms. “He’s still recovering. I’m just waiting for the right analysis on the sickness that he’s got,” said Baldwin after the scrimmage with Iran, which ended in a 2-2 draw after both teams won two quarters each, although Gilas outscored the visitors, 71-64, in the entirety of the 40-minute match. 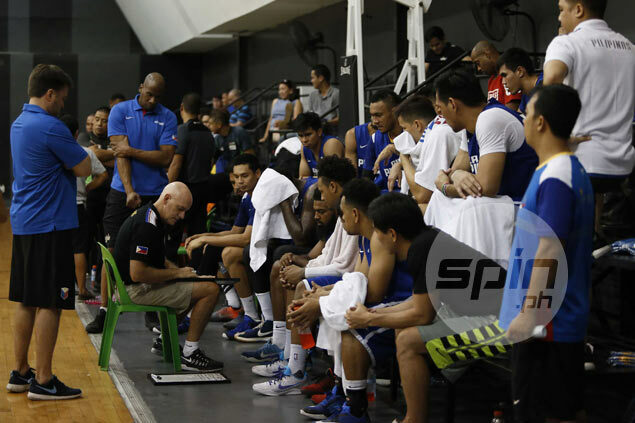 The 57-year-old Gilas coach did say Lassiter ‘feels terrible that he got sick’ at a time when Gilas is bidding to earn one of three berths still up for grabs in the coming Rio De Janeiro Olympics. Baldwin doesn’t want to talk at the moment though on the possibility of not including Lassiter in the final 14-man roster of Gilas. Along with Jeff Chan, the native of San Francisco, California is the only pure shooter the team has at its disposal. Nonetheless, Baldwin could only wish Lassiter the best of health. “I told him to get as much rest as he can, to get back into the right eating and regimen, and get his strength back as fast as he can. So that’s what’s going on,” said the 57-year-old national mentor.